Nate Rodriguez is one of the most talented individuals we’ve ever showcased. His voice is rich in soul, power and range. 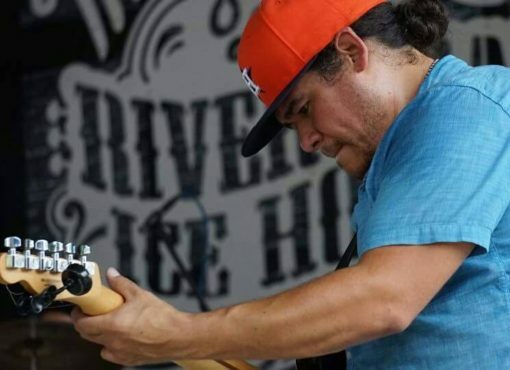 The original songs he writes are slices of the Victoria, TX upbringing he endured. Playing sideman as a lead guitarist and drummer has helped Rodriguez hone his skills and sharpen his artistic focus. He’s the glue of this event and left as the talk of the festival a few times. He epitomizes our Galleywinter focus of bringing new music to your ears. Rodriguez is too good to be as underappreciated as he is. Hmm it looks like your web site ate my initial comment (it wasvery long) so I guess I’ll simply sum it up what I wrote andsay, I’m truly enjoy your blog. I as well am an aspiring blogblogger but I’m still new to the whole thing.Have you got any tips and hints for rookie blog writers?I’d definitely value it. I simply want to say I am just new to blogs and absolutely savored your blog site. More than likely I’m want to bookmark your site . You definitely have perfect writings. Thanks for sharing your website page. hi!,I love your writing very so much! percentage we communicate more about your article on AOL? I need an expert in this area to solve my problem. Maybe that’s you! Looking forward to look you. Generally I don’t read post on blogs, but I wish to say that this write-up very pressured me to try and do it! Your writing taste has been surprised me. Thank you, quite great post. obviously like your website however you have to check the spelling on quite a few of your posts. A number of them are rife with spelling problems and I to find it very troublesome to inform the truth on the other hand I will surely come back again. Great post. I was checking constantly this blog and I am impressed! Very helpful info particularly the last part :) I care for such info a lot. I was seeking this particular info for a long time. Thank you and best of luck. I have to point out my gratitude for your generosity in support of people that really need guidance on that area of interest. Your very own dedication to getting the solution all-around became pretty interesting and have all the time encouraged guys like me to reach their desired goals. Your amazing interesting guideline implies a great deal to me and further more to my office colleagues. Thank you; from all of us.